Batchelors Way: The Best of BatchelorsWay 2014! The Best of BatchelorsWay 2014! I have loved this year, I have truly grown as a person, a mother and a DIY'er. I am thankful for all of you who tune in to see what I am up to and re-post or pin my posts!! Your comments so often make my day and put a smile on my face. I hope you stick with me for another year as I work on more projects!!! I find it so fun to see what you all view the most. Let's count down the top most viewed post from this year!! 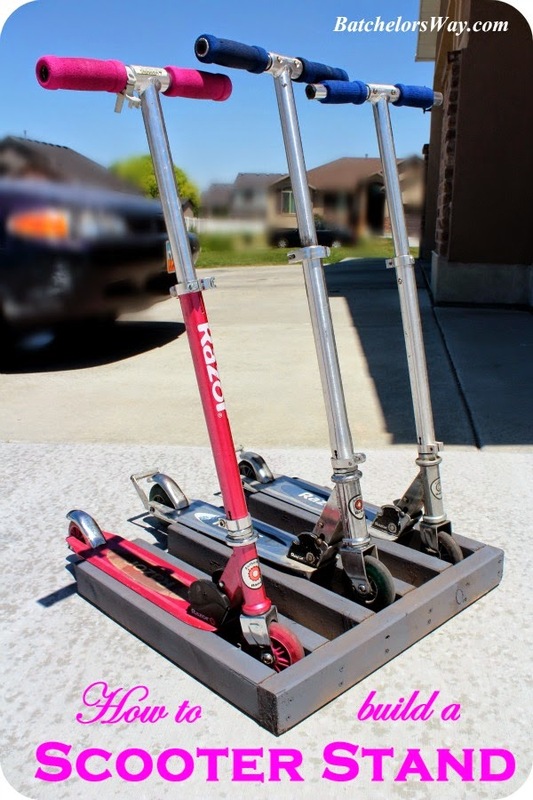 This was actually a re-post of our scooter stand we built one day out of frustration and scraps of wood!! I re-posted it in conjunction with my skype live on KSL Studio 5. The original post has over 20,000 views and my #5 most viewed post ever!! The laundry room remodel took most of this year to complete, so it is no wonder many of the projects for that room are in this top ten. 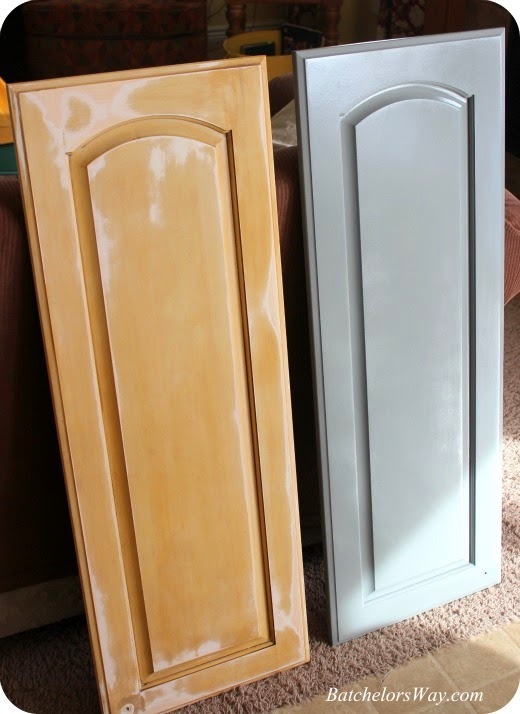 This post was about the Krylon project I did; spray painting my cabinet doors. I love how they turned out. Installing my ironing board was interesting to say the least. Not much out there on the Internet to help me. I guess that explains why this post is so popular. 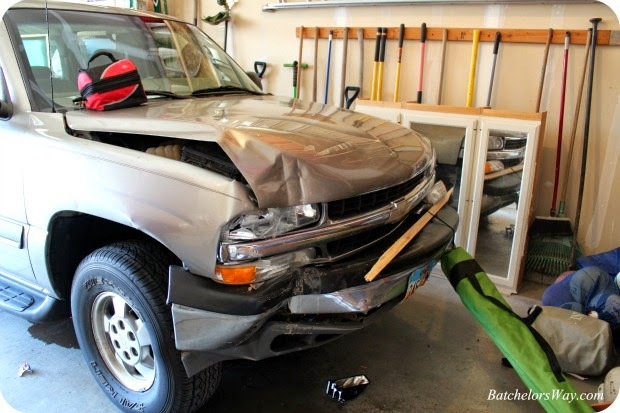 Finding so many views of my accident was surprising. I realized you all really care or it was just too good of a laugh to pass up!! I must say hand washables are no longer a pain with my new drying racks. 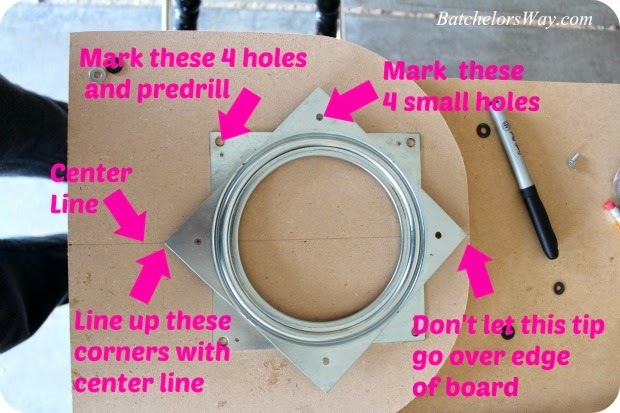 Make sure to click on the link at the bottom of that post to see how we added a fan to help with air circulation. 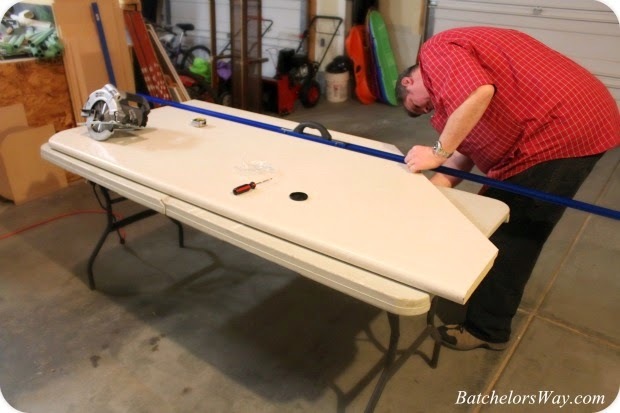 In true Batchelor Way, we took this used counter top and transformed it. This was the first step in the process. 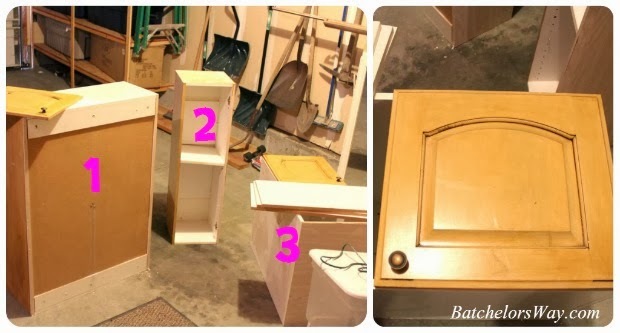 Not sure if everyone was interested in seeing how I took these Restore cabinets and altered them to fit my space or how we made access to our stacked washer and dryer hook ups. Info that is hard to find on the Internet!! 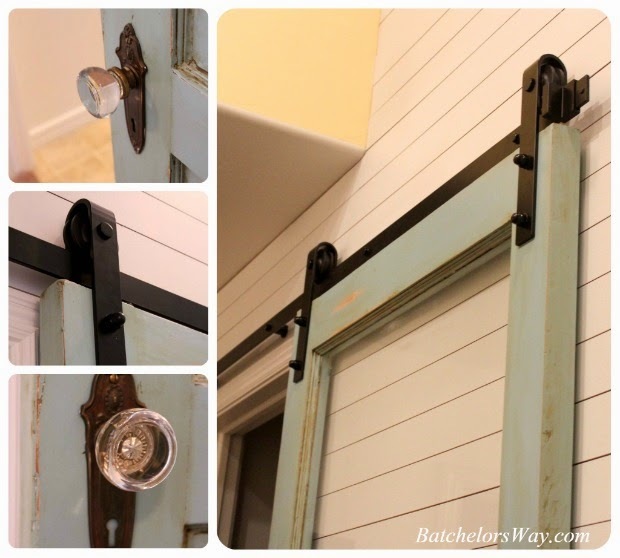 I love blue antique doors, barn doors, and planked walls!! I guess so does everyone else!! 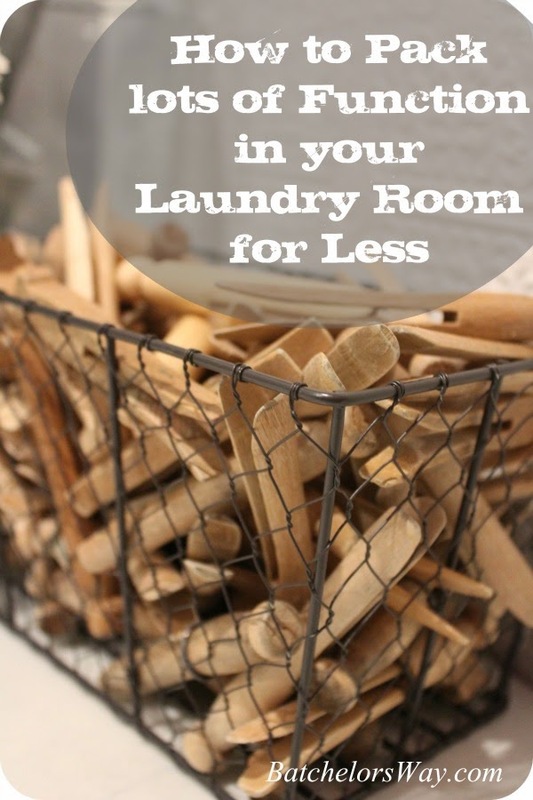 #2 Laundry room Reveal or How to Pack Lots of Function into Your Laundry Room for Less! I spent most of the year working on my laundry room, but it paid off. I love doing laundry now, and I love that you all like to look at it too!! 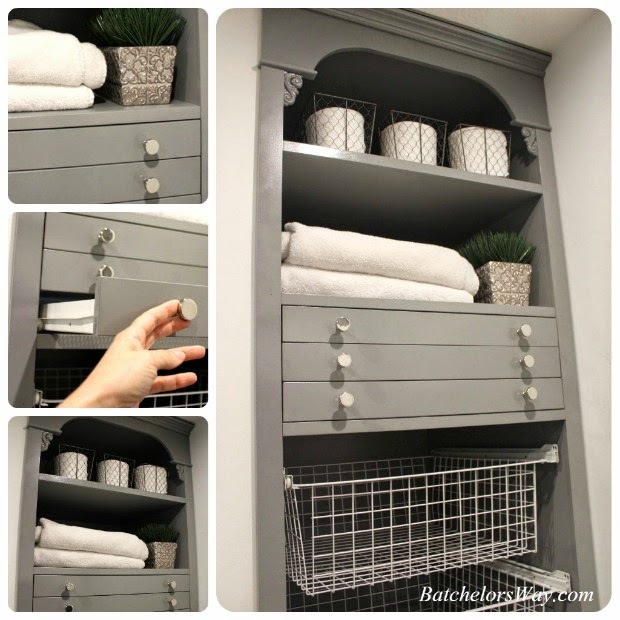 I hope I inspire others to make their laundry rooms just as functional and pretty. Surprisingly, the Laundry room reveal was not number one. But the most viewed post was from the Laundry Room. 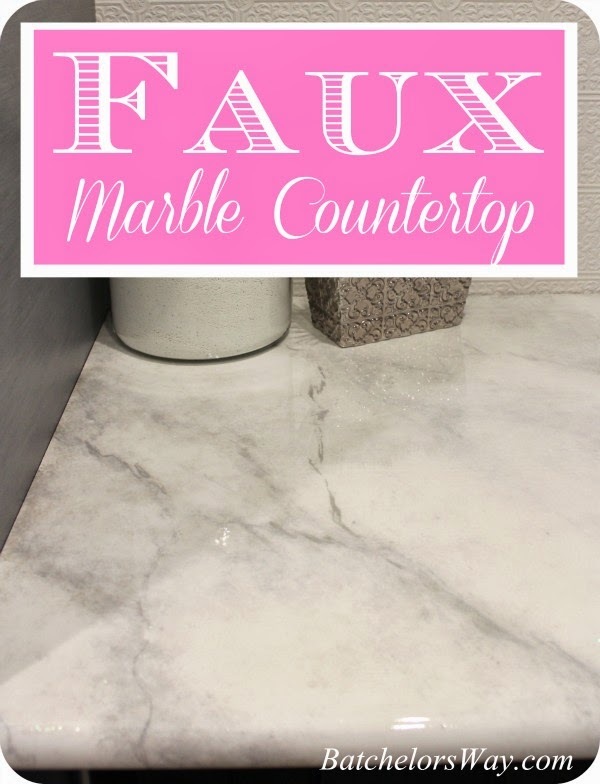 I did my version of a faux marble counter top, and it turned out pretty good. I love that others want to see it and try it. And to think I almost chickened out on this project. Hope you enjoyed my Top Ten Posts. 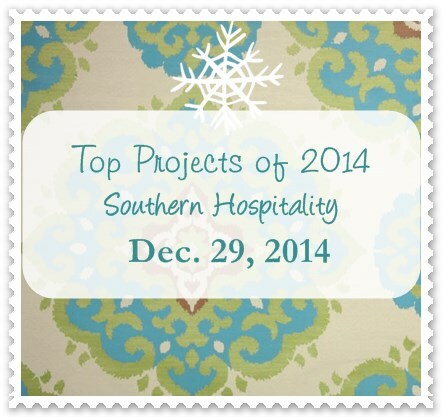 Check out 2013 top 10 most viewed posts here. Can't wait to start on my new projects for 2015!!!! They are all amazing projects, Ronda! Looking forward to what's in store for 2015!